The new Yowza Islamorada Elliptical Trainer adds high end features to the existing line of successful Cardio Core ellipticals. The Islamorada elliptical starts out with a stride that can be adjusted electronically from 19” to a lengthy 30” and a heavy 259 lbs frame for stability. The incline of the elliptical stride can be adjusted electronically from 0pct up to a super steep 60pct, which would be more like climbing Mt Denali than plain going uphill. 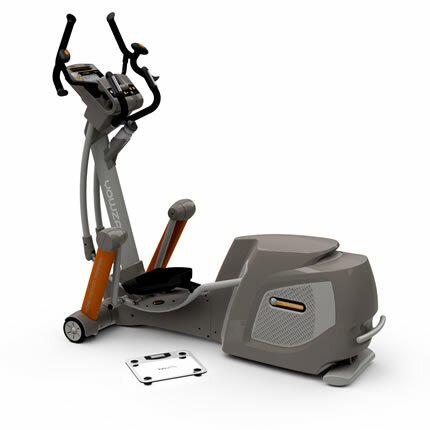 The feature that sets the Islamorada and the other Cardio Core elliptical models from Yowza, are the motion handle bars. Typically on elliptical trainers, the handle bars move back in forth for additional cardio and some upper body strength benefit, whereas on the Cardio Core models, the handle bars also rotate, putting the muscles in your core and abdomen to work. The Yowza Islamorada Elliptical Trainer has all the electronic goodies that you would expect at this price, including IPod dock, Hi Fi speakers, 3 speed adjustable fan, heart rate receiver for wireless transmitter/chest belt as well grip pulse handle bars. The elliptical trainer provides plenty of training variety with 21 Pre-Set and 9 custom programs. You get an excellent warranty on the Islamorada elliptical trainer, Lifetime on the frame & braking system, 7 years on parts & electronics and 2 years in home labor.